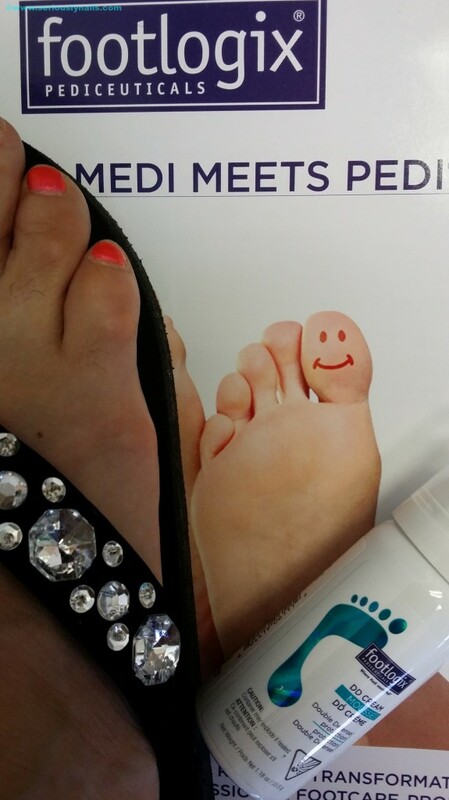 I met Vicki and Keith from Footlogix at Cosmoprof NA a couple of weeks ago. Vicki is also the President of the North American School of Podology. They were kind enough to give me a sample of their DD Cream. 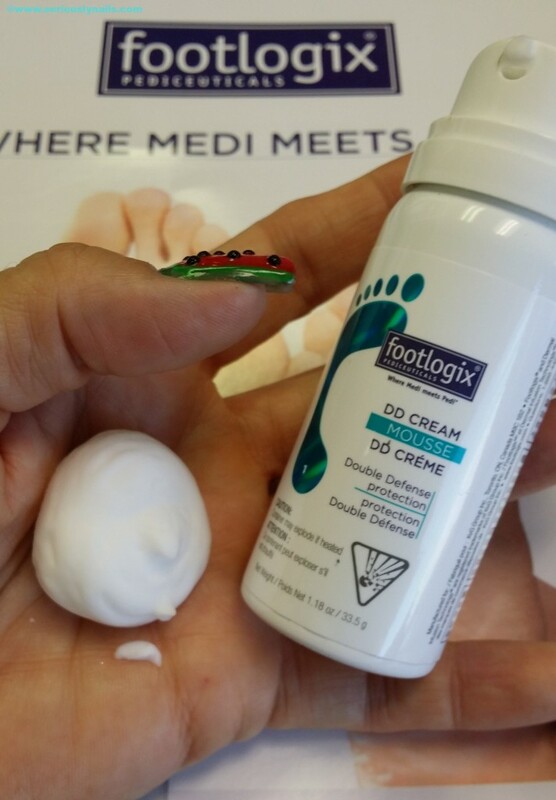 It is simply the best foot cream I have ever used! I am completely addicted now! Living here in the desert of Las Vegas, my whole body seems like it’s a dry piece of I don’t know what! The dry heat and air conditioning can wreck havoc on your skin. Especially your feet at this time of year. Your not usually wearing closed in shoes. So they are more exposed. The products contain Dermal Infusion Technology. It does not contain any synthetic oils, so the products can penetrate the outer layers of skin instantly. Without a greasy or slippery residue. It is in a mousse formula which allows you to put your socks on right away. It feels to me like it is absorbed instantly into your skin. It leaves my feet feeling nourished without feeling like a oil slick! This super hydrating yet lightweight creamy mousse locks moisture into the skin with each application. The distinct anti-microbial properties of the bioactive patentedSpirulina microalgae makes this formula a great product for night care. For optimum results, apply the mousse on to clean, dry feet at bedtime. I am super happy that I met these fine folks at Cosmoprof this year. For the professionals who are serious about top notch foot care and dealing with problematic client issues, this is the place to find the answers and the training. Gain the insight, and practical experience to up the ante in your salon. 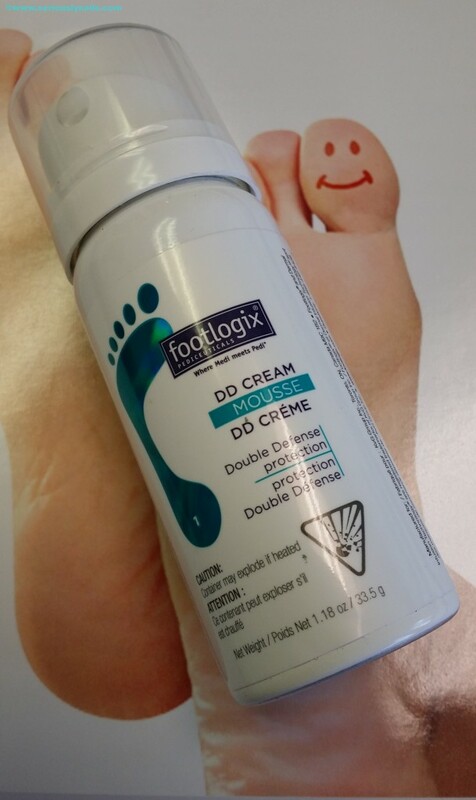 You can find retailers or distributor information on their website at http://www.footlogix.com as well as more in depth description of all their professional and at home use products.